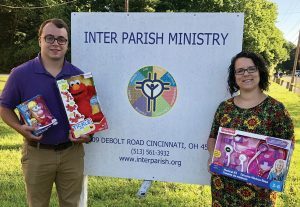 Inter Parish Ministry will offer fun, food and friendly competition at the inaugural Christmas In July Trivia Contest. The event will include tasty treats from Buffalo Wild Wings, Dewey’s Pizza, Penn Station and other restaurants. Registration is $15 and includes two drink tickets for craft beer. Guests can take new toys valued at $10 or more to earn raffle tickets. The event is open to individuals or teams. It is hosted by IPM’s Young Professionals and chaired by Monika Royal-Fischer, program director, University of Cincinnati, Clermont College. Proceeds will help support IPM’s annual Christmas Toy Store. 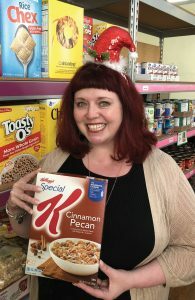 The store allows families to purchase children’s holiday gifts at prices ranging from $1 to $5.